Revel in me...: Pajama pants? After one full-day photoshoot, a stalled car, and an interview (will share more with you guys when the article is out), the weekend could not come any sooner for me! 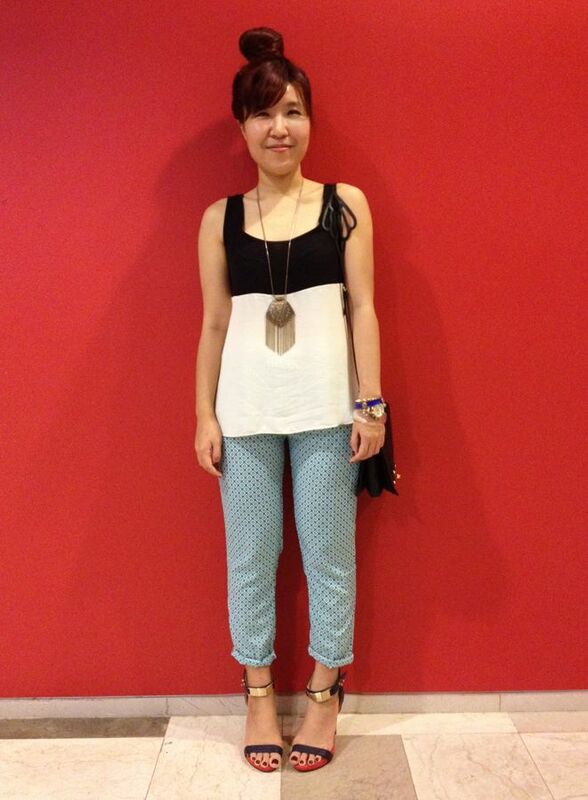 My recent obsession-- printed pants! This is my ideal lazy Friday outfit-- loose flowy top (so I can eat as much as I want for dinner, hehe) and comfy pants. These ones are actually printed chiffon sweatpants. Brings a whole new meaning to the term 'fancypants' wtf.